Calling all brides-to-be!!!! B. Loved Bridal will be hosting a trunk show featuring Karen Willis Holmes and we could not be more excited!!! The trunk show will start May 20th and run through May 29th. During the trunks show all Karen Willis Holmes gowns will be 10% off. We are by-appointment-only and appointments are limited so book your appointment today by calling us at 614-395-4437 or go online to blovedbridal.com. Karen Willis Holmes is a renowned Australian designer, widely acclaimed in today’s fashion marketplace for offering trend conscious women their perfect wedding gown. The KAREN WILLIS HOLMES brand has established a reputation for constantly exceeding customers’ expectations both with the product and the service provided. In 2012, Karen responded to increasing demand for off the rack gowns by designing the Ready to Wear Collection – KWH by KAREN WILLIS HOLMES. Focusing on exceptional fit and centered on embellished and embroidered details the designs compliment the Bespoke Collection and offer brides a glamorous wedding day look. 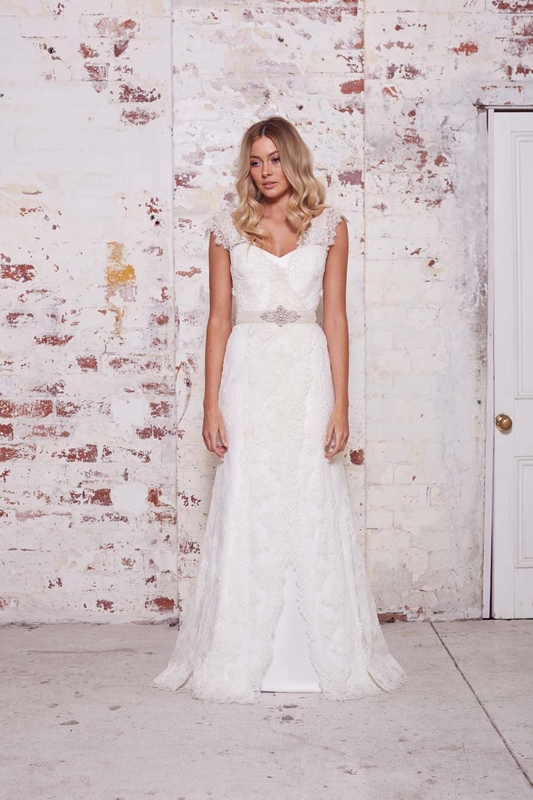 The company employs 40 team members in their workrooms and boutiques, & creates the wedding gowns from the BESPOKE and WILD HEARTS Collections in Australia, providing a hands on approach & commitment to detail, using only the highest quality imported fabrics, laces, & beading from around the world. Gowns from the KWH by KAREN WILLIS HOLMES Collection are designed in Australia and hand beaded and embellished in India. Karen’s collections reflect her lifelong love of fashion, and celebrate the spirit of today’s modern bride, who is both stylish & sophisticated all with a Karen Willis Holmes twist.